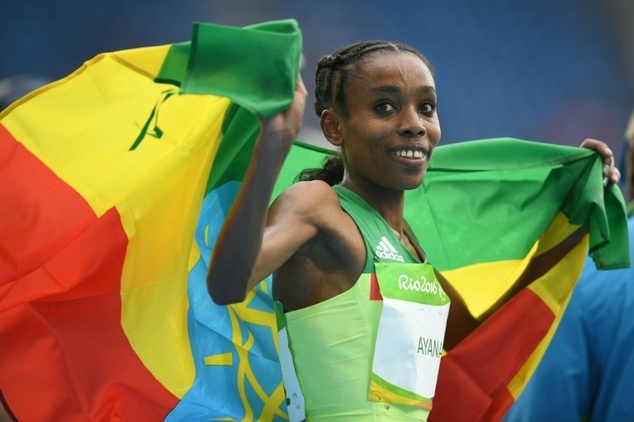 Ethiopia's Almaz Ayana breaks world record to win 10,000m gold in Rio 2016 Olympic Games. Tirunesh Dibaba of Ethiopia takes BRONZE medal as she finishes 3rd in the women's 10000m final at Rio 2016 Olympic Games. Feyisa Lilesa wins Silver in Men's Marathon at the 2016 Rio Olympic Games. 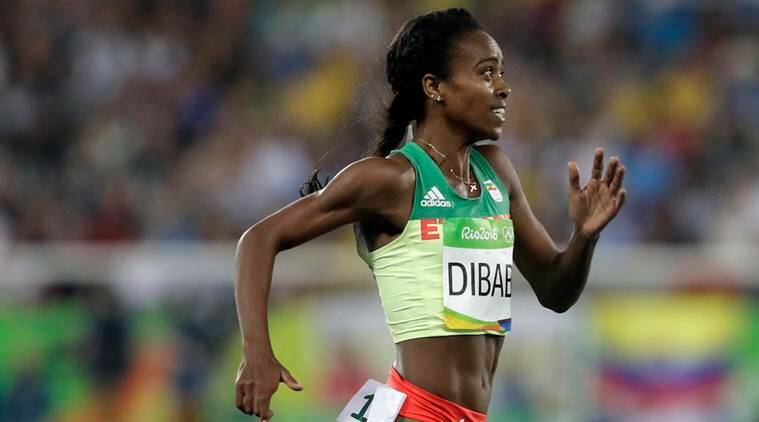 Genzebe Dibaba settled for silver in 1500m at the 2016 Rio Olympic Games. Mare Dibaba wins Bronze in Women's Marathon at the 2016 Rio Olympic Games. Hagos Gebrhiwet of Ethiopia takes Bronze medal as he finishes 3rd in the men's 10,000m at the 2016 Rio Olympic Games. The first medal event on Rio de Janeiro’s Olympic track went off in historic fashion, headlined by Ethiopian Almaz Ayana’s world record performance in 29:17.45. Though Ayana completed the second half of the 25-lap race alone in the lead, her astonishing pace helped push the rest of the field toward record-setting performances of their own. 1. Ayana completed the second half of the race in 14:30.64. This 5,000-meter split is more than 10 seconds faster than the Olympic record for the distance. The current 5,000-meter Olympic record is 14:40.79, set by Romanian Gabriela Szabo in 2000 at the Sydney Olympic Games. 2. Before this race, only five women had run under 30:00 in the 10,000.The top four athletes accomplished the mark in Rio: Ayana, Vivian Cheruiyot of Kenya in 29:32.53, Tirunesh Dibaba of Ethiopia in 29:42.56 (the only athlete in the field to previously run sub-30), and Alice Aprot of Kenya in 29:53.51. 3. This was only Ayana’s second race at 10,000 meters. She debuted at the distance on June 29 of this year, running 30:07.00. 4. Counting Ayana’s performance, eight women broke their country’s national records in the race, including American Molly Huddle, whose 30:13.17 bettered Shalane Flanagan’s mark by 9 seconds. The countries with records that fell: Ethiopia, Kenya, United States, Sweden, Burundi, Greece, Kyrgyzstan, and Uzbekistan. 5. Eighteen women set personal bests, including American Emily Infeld, who took 11th in 31:26.94. That constitutes just under half of the field putting in lifetime performances.